with square papers, if you don't keep your top and bottom edge parallel, your front corner doesn't tuck. That's what makes it tricky to roll your own. That's why you're always having to fiddle around with the corners of traditional rectangular rolling papers, and why putting one of those papers into a single-cigarette rolling machine is so difficult. In the 1970's, cut-corners were introduced to solve this problem, they gave you some tolerance for not having your edges perfectly, parallel, but they were funny-looking and initially, nobody liked them. Nobody explained them. Elegant Curved Papers are an innovative improvement, functionally and visually. Many times easier than cut-corners, you just roll straight up the middle every time. 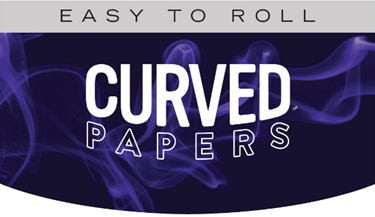 Curved Papers is a licensee of NORML, the New York Yankees of Legal Weed. These are some of the main people who made weed be legal, The National Organization for the Reform of Marijuana Law. 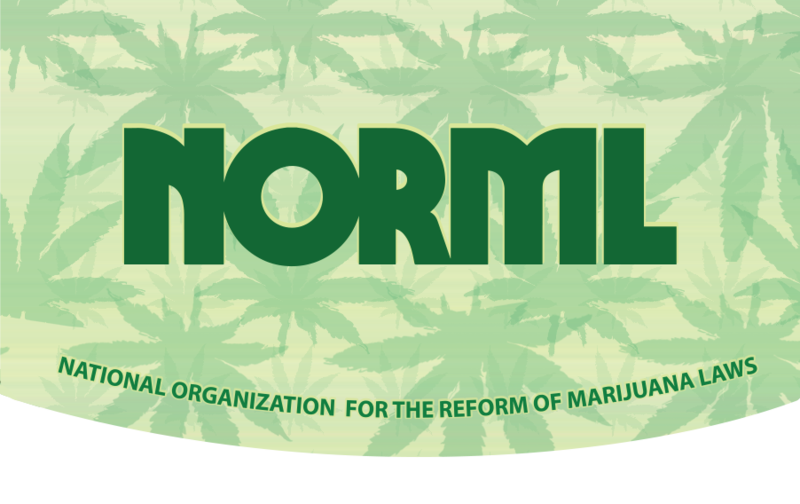 Join NORML now! Help Make Marijuana Legal. Buy These Rolling Papers! Our customers come from all corners of the globe. Young, old. Recreational, medical. Legal smokers of all stripes. At home in the US, with our dear neighbors to the North and South, in Europe and around the world, Curved Papers people appreciate fine quality, design, and engineering. There is something simply natural about flower, paper, and fire. 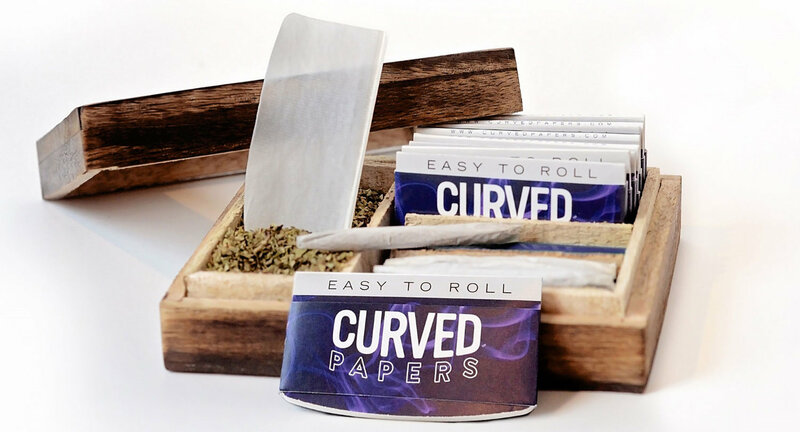 The aesthetic and functional quality of the easy to roll curved edge can be applied to any of your favorite rolling papers and wraps. Your input is always welcome. See contact. Check News and Features for new product announcements. 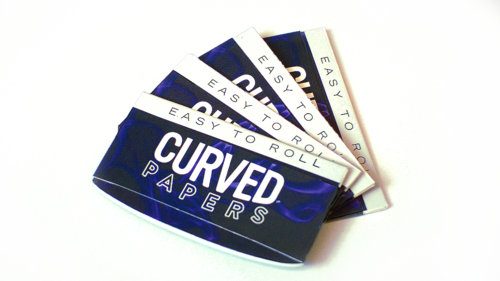 Curved Papers are the rolling papers you buy on the internet! 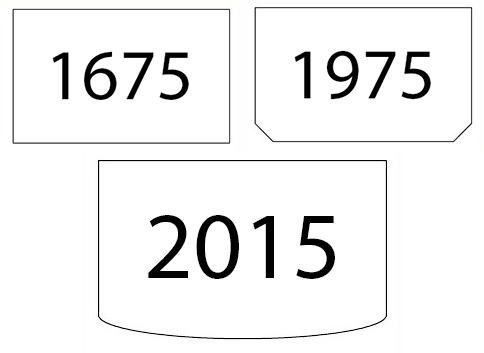 Our unsurpassed value: four booklets of 50 leaves to your door for under $10! To see all our buying options, check our store here! N.B. You must be 21 years of age to visit this site. Curved Papers earnestly and continuously endeavors to implement policies in accord with the laws and regulations of the localities where Curved Papers are sold.